For some reason there is a recent phenomenon in the knife market of mad rushes on speculative knife purchases; or as one customer called them – “lolly scrambles”. It is most obvious in my corner of the world on the TC Barlows. Since each of 9+/- dealers share in a standard SFO run (500 knives), each dealer gets a relatively small allotment. Ten years ago, 40 knives were a lot of GEC’s to buy, even in their most popular pattern. And you may not be able to sell them for months. But these days, on the most demanded models, it is not even enough to wet the market appetite. We went to “Blade” for the first time in 2016 and noticed it there in a much more prevalent fashion on the modern custom knives. All these makers would have 2-3 knives on their table with “lottery” instructions. I thought it was cool of them to be giving these knives away on a lucky draw – but that was not it at all. They were drawing for the opportunity to pay $1000-$3500 for the knife…. So, what has caused this? How long will it last? What is the solution? Spoiler: for all three questions, I don’t know the answer. But I will discuss it further below. What has caused this? In at least part, the social media has caused a big portion of this by taking a niche market mainstream. There are way more knife hoarders than there once was. And having one “user” knife, or a long term collection, is no longer the goal. You need many; maybe not at one time – but there seems to be a lot of turnover with modern day customers. I see a lot of folks blaming it on small production count and even go as far as to call it a “ploy” to artificially inflate prices. That does not bear out once you start trying to apply logic in any kind of supportable argument. For the first several years of GEC, they made many runs of knives with less than 50 of each variant; and maybe 4-6 variants. There were many runs with 10, 15, or 25 knives produced and they would not be fast sellers. Today the factory is having a different problem. On many runs, if they made all the knives that the dealers asked for – they would run the same knife for 2 months at a time. Matter of fact, GEC could probably take their top five patterns and run them all year without sales suffering whatsoever. But that is not their agenda. They want new patterns, they want new favorites, they want variety in their job. So, a couple years ago they made a rule. No standalone SFO (special factory order) could be more than 500 knives. So when the TC Barlow runs 500 pieces of 2 different slabs and splits it among 10 dealers, that is 25 knives of each variation for each dealer – in a market that has a demand for at least 500% of that number. How long will it last? Who knows?! If the economy took a sharp dive and expendable income went away – it would suffer instantly, if not end altogether. There are other situations which could cause damage to the cycle, but one is just as hard to predict as the other. What is the solution? I will discuss the supply issue later, but for now the distribution issue. There are many people trying to solve it in many ways. But for the most part, I haven’t seen an attempted solution that doesn’t get condemned for one reason or another. “No good act goes unpunished” seems to be the rule of the day. The easiest solution and maybe the most fair seems to be the “Drop”; wherein the dealers just puts the items on the website once they are in stock and ready to go out. Some dealers announce a time when they will list them, some do not. With this solution, those that are fastest or spend the most time with technology generally have the advantage. But you will still get chastised for allowing “cart sniping” or actually over-sell the product because there are 300 people going through the purchase process at the same time on 45 knives. Some carts can’t handle this, especially with cache being so prevalent on the cart servers. We have a reservation system to handle this, such that people can know ahead of time if we have one for them. That way, they will know whether they need to look elsewhere beforehand. But, on these small runs, the reservation process can be just as much a mad dash as the drop process. Matter of fact we recently went to a new server that nearly froze completely up on a pre-announced reservation for the TC Barlow. Because there were 300 people sitting on the site hitting refresh – refresh – refresh. The system administrators said they have seen denial of service attacks not orchestrated as well. The supply issues have a couple of possible solutions. The factories could hire a bunch of new people. But the people would have to be trained; and quality is going to drop if half your employees are being trained to do their job. GEC has increased their workforce nearly 50% over the last couple years; and honestly I feel as if I can see the new folks being trained in the knives themselves. Then when the market demand goes away, and it will ebb and flow, you have to lay those people off. The factories could just take orders and make knives until the orders are filled. But that would quickly start to erode a company reputation for several reasons; not the least of which is the simple lack of any variety in the product line. The “lolly scramble” is a bit more complicated. When you have 50 knives and the demand for 400; it is going to be hectic. First come, first served seems like the best solution. 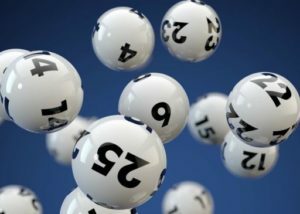 I have had many recommend a lottery system, but in my opinion that only randomizes distribution and removes the incentive for someone to work at getting quicker and smarter. Something like a “participant” trophy. Don’t get me wrong, I wish everyone could get what they wanted; I am just not willing to punish those that are faster and smarter at achieving their goal. We do make sure that on very short run knives, only one of each variant goes to a household. But we have noticed that a vast majority go to existing customers and not to “flippers”. We have thought about a way to penalize flippers; but, again, I find it hard to come up with a policy that doesn’t seem invasive. I am somewhat of the mindset that once a customer buys a knife, it is theirs to do with what they want. Finally, the early reserve system is very beneficial to us as a dealer as well. If I try and guess which variant my customers are going to want more than the others, I am inevitably wrong. Also, if I try and guess at actual demand, I am equally off target. So, it is a great tool for me to calculate demand and more specifically demand at the variant level for my customer base. But I can assure my customers of one thing. I have never used “market demand” or production count to set pricing on any knife. And on most brands of currently produced knives, the factory sets the MAP (minimum advertised price) and I do not charge more – and in most cases put them in a free shipping category to legally offset some of that margin. From time to time there are accusations thrown about; but never from someone that has actually used our system. In closing, I don’t really see a great solution to either A) the availability issue, or B) the distribution issue. But one last thing I will note is that most of this conversation only arises on the small percentage of production runs that are very limited. At this moment all the reservations we have open are for good sized runs and one of the complaints I have heard the last week or so is how GEC is producing too many of an upcoming knife — that is ironic to say the least.